Another Beautiful Day in Paradise. Well.....it was pouring rain and the wind was blowing 20 mph. Not a good day for skating/bicycling. 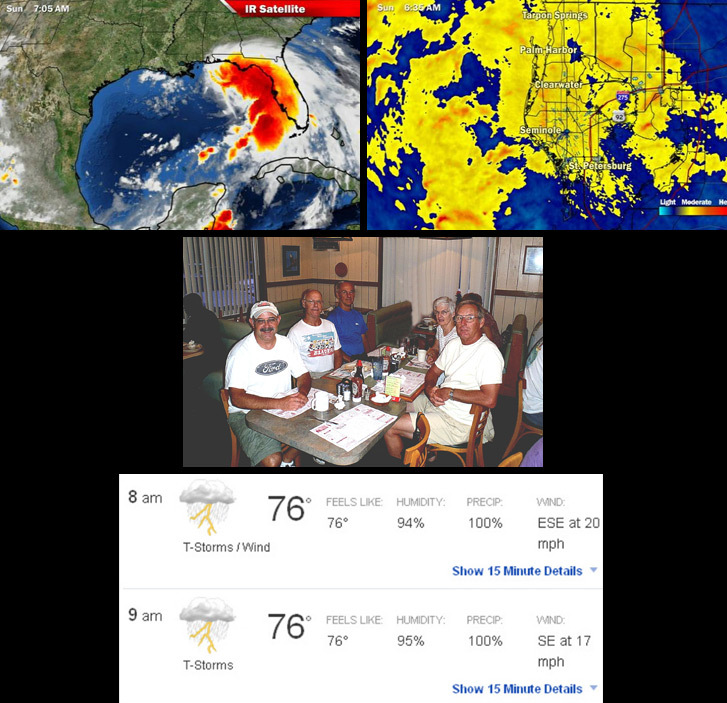 Tropical Storm Debby is keeping us wondering where she is going. Several of us did have a nice Breakfast at Doe Does. Breakfast's at Doe Does are always at least a 9.5.